Wow, it's hard to believe the youth center is open 2 years this month! Where has the time gone? We have had another amazing successful year, even if we do say so ourselves :) There are over 300 children that are involved in the programs at the youth center, all of the children are from the local community Gende Tesfa and are receiving education and health support, counseling, skills training, and recreational support. If it wasn't for the local staff and volunteers, the youth center would not function. There is a project coordinator, 2 social works, a librarian, a guard, four part time teachers, health educator and support staff. 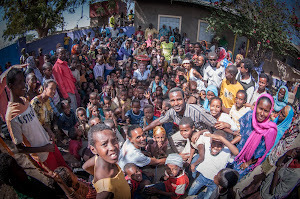 Abbi is the project coordinator and makes sure that everything at the center is running smoothly, he ensures that all the children have what they need and that they are attending the programs. Yohannes and Meisra are the two social workers, they provide counseling services to 176 children along with home visits and follow ups. Misra is the librarian, she makes sure that all the kids have the books they need and that they each have equal study time! The four tutorial teachers are providing classes for 243, children in the community are invited to attend these classes even if they are not part of the programs. The social workers meet with the school to access how the children are progressing. If it wasn't for this amazing staff none of the work would be possible. They are absolutely fantastic! Meet Sammy, Sammy is a local business owner just outside Gende Tesfa. Sammy owns a carpentry shop and has been training young men for a number of years. Sammy is one of the business owners in Dire Dawa who is part of the vocational training program. He currently has 5 boys that he is training from the Youth Release program. Not only is he providing training for these boys, but he also has given 3 of them a place to stay and a small wage so they can get by. When we spoke to Sammy he told us, he was so excited to help and can't wait to continue supporting and being part of this program. The three boys that Sammy has taken in all previously lived on the street, begging, and trying to earn an income anyway possible. Now they are being trained in a skill they can use, they have shelter, food and in a few months they will be able to get their own place and start work full time! The success of the programs would not be possible without the hard work and dedication of our 15 local staff. Despite water shortages in the area, the staff still ensure that shower services are available for the children each week. The children are also involved in a number of recreational and club activities. A drama club was started to help teach children about their rights and well being. The children write and direct the drama themselves which develops team work and encourages the children to share their experiences. Of course there are many more programs at the youth centre, we just wanted to highlight a few. None of this would be possible without our fantastic volunteers, both local and international. If you are interested in volunteering with Youth Release please send an email to laurapower@youthrelease.com and we will send you an information pack. We would also like to thank everyone who has supporting our vocational training program- there are over 23 children going through the program and are all set to graduate over the coming months. Thank you to everyone who has supported the activities at the youth centre and for helping us make the programs possible. If you would like to help us continue this work please visit www.youthrelease.com We are always looking for people to help with our fundraising efforts so if you have an idea just let us know! Thank you once again for all your support- here's to another great year!